Robust research and drug discovery solutions for chemists and biologists. Chemists and biologists at a large pharmaceutical company, referred to here as "PharmaCo" because of trademark restrictions, needed to quickly view and share data stored in many different systems. PharmaCo's internal development team worked hard to release new features and fixes on a consistent and timely basis within this network of separate systems. 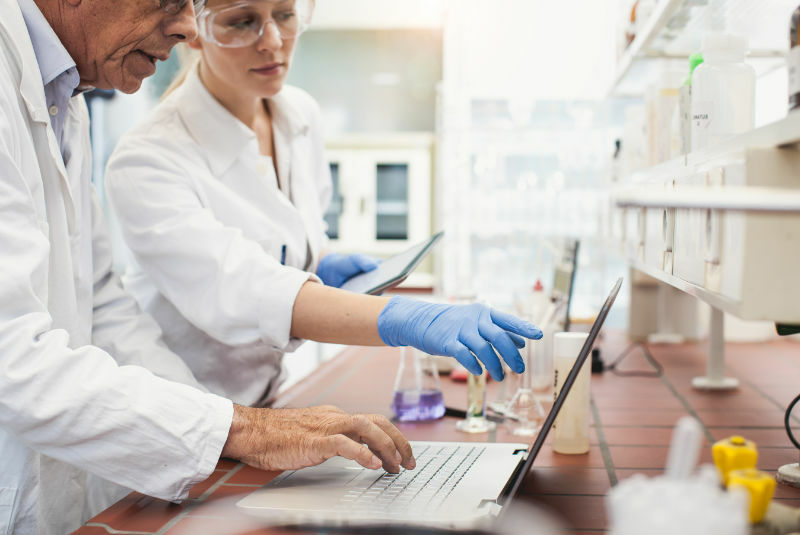 Even with the team's best efforts, PharmaCo still needed a solution to deliver unified, accurate information to business users while streamlining the software development and release process. They also needed technology to reduce costs and improve team collaboration. The RoleModel team worked with PharmaCo to create a new Compound Profiling Data Portal (CPDP) with a simplified user interface and rapid, accurate search results. RoleModel's Craftsman-led team delivered CPDP through a collaboration with cross-functional development teams and PharmaCo's R&D scientists. RoleModel's integrated design and development team led focus groups that provided critical, User Centered Design feedback. Within just a few weeks, RoleModel aligned the needs of multiple user groups and produced a working prototype to validate the newly designed user experience. The technical solution provided consistent access to multiple data warehouses and unified the underlying data structures. These changes improved query accuracy and speed. When combined with agile software development practices, including Test Driven Development (TDD) and a two-week feedback loop, code quality improved and new software releases were available faster. R&D users saw improved accuracy and timeliness of research findings. Drug discovery processes also improved because CPDP automatically included data about related compounds of interest - a process that previously required scientists to perform additional searches and manually correlate results. PharmaCo's internal studies comparing the CDPD project to other internal and offshore projects showed the agile development practices that RoleModel introduced significantly reduced development costs. The same studies showed an increase of more than 500% in the IT team's customer satisfaction scores from their R&D customers.